The urge hits me every so often to revisit Dazzler’s comics from the 1980s. She’s just one of those characters that never quite got to see her full potential realized. There never really seemed to be a mandate on what type of stories she should have. She was a super-hero, but a reluctant one. She was a singer, but never really able to get creators that knew how to convey music, especially pop music, into print. As an attractive female protagonist, she never seemed to be able to crack that barrier that keeps romance-themed comics from succeeding. There were efforts to emphasize romance in her comics, but none seemed to be very successful. This was Marvel Comics, after all, and who wants to read a lot of mushy stuff? However, there was a unique series in Dazzler’s history that came as the character was getting a push about three years into her series. In X-Men, Chris Claremont was amping up Anti-Mutant hysteria and the only other title to prominently feature a mutant super-hero was Dazzler. The secret of her stage effects was a running plot point, but the character had relocated to Los Angeles. She was ostracized when, in an effort to capitalize on her powers, it was publicly revealed that she was a mutant. This led to a mini-series featuring the former X-Man Beast, promising some type of romantic connection between the two. Dazzler has been taken to the reculsive “Heartbreak Hotel” by Beast after rescuing her from a sleazy underground theater He tries to ease her fears of her powers being out of control and being publicly exposed as a mutant. On a walk with Kate, who founded Heartbreak Hotel as a refuge for mutants, Dazzler meets Poltergeist, a mutant with the ability to move things with his mind. Poltergeist cannot control his powers. They are subject to his unsteady emotional state. She also meets Lucy with the odd power to change the color of objects. They don’t know that they have been secretly watched. Beast greets them at the hotel, and sparks begin to fly. Over the next few days, Beast and Dazzler grow closer as her powers come under control. Dazzler begins to try to deny the feelings that she’s developing for Beast. Eventually, the two kiss in the greenhouse, but are interrupted by Poltergeist, still upset about the apparent death of Spider-Woman. Dazzler comforts him, sharing how she’s struggled to control her powers. In Latveria, Doctor Doom receives word that his alleged son has been seen with Dazzler. Doom denies that this man is his son. 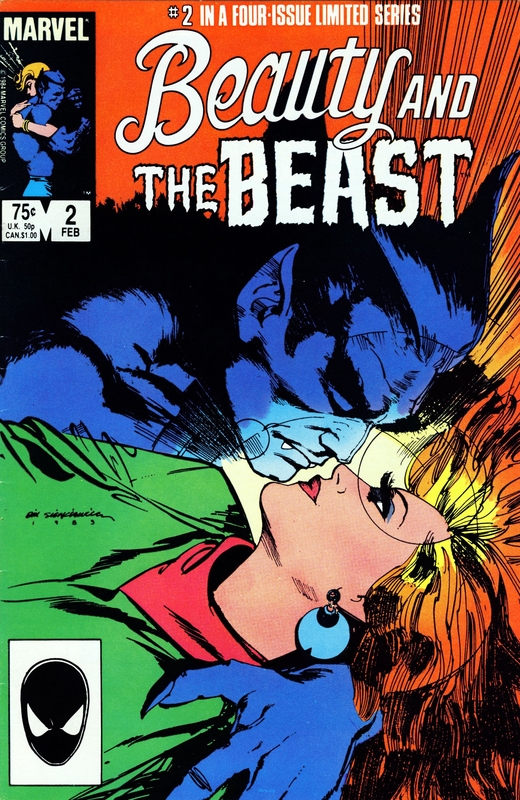 Beast and Dazzler are attacked by a monstrous messenger to take her back to the theater. Beast leaps to her defense, but she’s convinced by the appearance of Alex. Alex invites Beast to watch her first show that night. Beast goes to the show to fin out what hold Alex has over Dazzler. Beast goes to the theater and finds that it is more like a gladiatorial arena, which is almost lost on Dazzler. She performs for the crowd, but they just want to see her fight. Hugo and Alex talk her into fighting in the arena by convincing her it’s an act, and not real fighting. Her opponent is very aggressive and pulls no punches, throwing Dazzler into a rage. She comes to her senses and flees the arena. Hugo releases all of his gladiators. Beast enters the fray, trying to find Dazzler. Alex interrupts a conversation with Ivich, a friend she’s made in the arena. Alex enters and still attempts to polish over what Dazzler has seen with lies. Meanwhile, she’s given a drugged drink. Beast finds Dazzler in the room and she tries to talk him into staying with her in the Arena. When she starts to glow uncontrollably, Dazzler panics and decides to stay. Beast returns to Heartbreak Hotel crushed that Allison has given up and resigned herself to the arena. This story is a bit all over the place, but is linear. A lot of stuff in this story doesn’t need to be here. The attraction to Beast is forced and feels rushed just because there’s so much we don’t see. Ann Nocenti writes Beast’s emotions very well here, but Dazzler seems all over the place. For a protagonist, she comes across as a damsel in distress. For a story that is supposed to belong to her, this is bad. Granted this is the middle of the story, but she comes across as a victim, not the hero on a journey. The artwork is banal, with the large villains in Hugo and Alex being almost unremarkable in their appearance. Hugo is a caricature of a villain and Alex is just unremarkable, not charming. Even the main characters are inconsistent in their rendering. Beast shouldn’t be hard to render consistently, but somehow it’s managed. I suspect that part of the fault comes from a tight deadline, as Don Perlin was capable of much better work. Kim DeMulder is a fantastic artist in his own right. In some places, DeMulder shows sparks of brilliance. Notes: Marvel collected this mini-series in 2012, proving that anything can be collected if the audience is there. Dazzler has that audience. Bargain boxes are a good place to find this issue as long as they’re well-stocked with comics from the 1980s. Comixology has it available, if you’re looking for a digital version. I recommend the collection if you go the digital route. It has the Dazzler Graphic Novel where she’s exposed as a mutant, so it’s a better deal than buying the issues separately.